The curtains will fall on the UEFA Nations League group stage, with the final seven matches of Matchday 6 being played on Tuesday. The top-flight match will feature Portugal and Poland in a Group 3 dead rubber at Estadio Dom Alfonso Henriques in Guimaraes. The fates of the three sides in Group 3 of UEFA Nations League A has been sealed after the first five matchdays. Portugal are through to the finals that will be played next summer while Poland have been relegated after only accumulating a solitary point from their first three games. Italy remain in the first division as they are set to finish second. Portugal have made steady progress since their ouster in the Round of 16 at the 2018 FIFA World Cup. 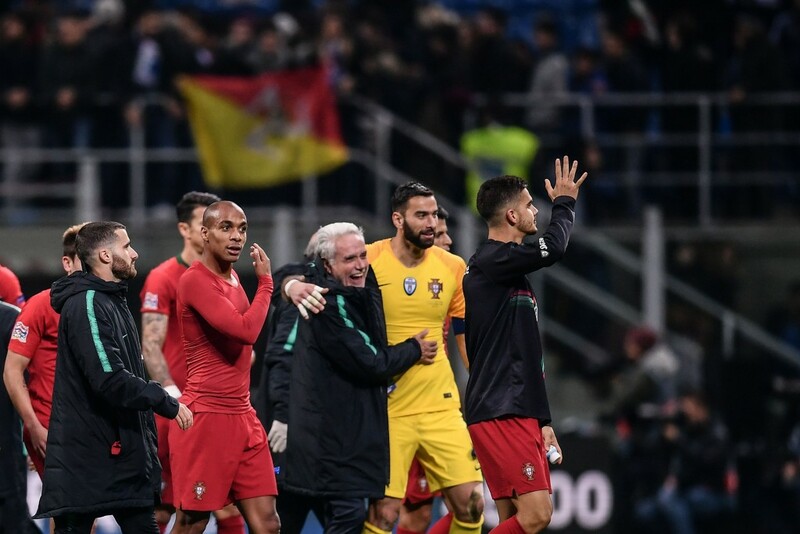 The Seleccao are yet to be beaten in the five games they have played over the last two months or so, with the cherry on top being their progress to the UEFA Nations League finals, set to be played in June next year. Poland, on the other hand, have been the polar opposites to their hosts, failing to win any of the five matches they have played since their own elimination from Russia 2018. As a result, Jerzy Brzeczek is yet to win for the first time as the national side’s head coach, and his side will be playing for pride on Tuesday. The reverse fixture, played at Stadion Slaski on Matchday 3, ended in a 3-2 win for Portugal, with Bernardo Silva netting the winner. Ahead of the latest meeting between the two sides, The Hard Tackle takes a closer look at the UEFA Nations League encounter. With a place in the UEFA Nations League finals secured, Fernando Santos could ring in the changes on Tuesday, and give some of his fringe players a run. But, the Portugal head coach was going to be forced into a couple of changes regardless of his side’s position in Group 3. Bernardo Silva has returned to club side Manchester City after sustaining an injury in Portugal’s draw against Italy. Mario Rui is also unavailable after picking up his second booking in the UEFA Nations League group stage, and the Napoli defender is suspended as a result. The duo might not have featured anyway, and are likely to be replaced by Rafa Silva and Raphael Guerreiro, respectively. Meanwhile, Pepe should return to the starting lineup after sitting out against Italy due to suspension. The Besiktas centre-back should be partnered by Luis Neto at the heart of the Portugal defence, with Cedric Soares likely to be the right-back. Rui Patricio could be rested as well, with Beto expected to replace him between the sticks. 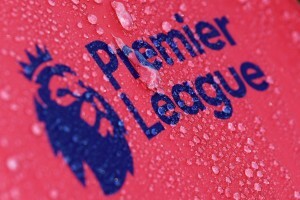 The midfield and attacking trios should bear a fresh look as well. In the middle of the park, the in-form Renato Sanches could start, with Danilo Pereira and Joao Mario giving him company. 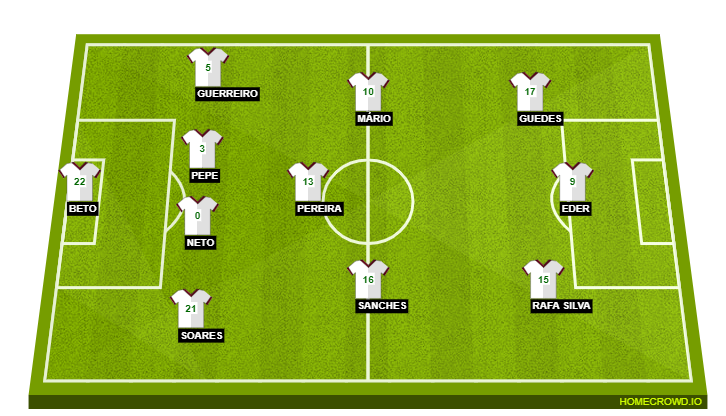 Upfront, Eder should lead the line for Portugal, with Goncalo Guedes completing the lineup that will face Poland. Jerzy Brzeczek played a number of backup players against Czech Republic, and could name a relatively strong lineup against Portugal at Guimaraes on Tuesday. But, the Poland head coach has a couple of players unavailable for his side’s final UEFA Nations League match as well. The major absentee will be Robert Lewandowski, who sustained a minor knee injury last week, and will not be risked on Tuesday. Also unavailable against Portugal, will be Artur Jedrzecczyk, who misses out due to an ankle injury. With Maciej Rybus also on the sidelines due to his own fitness problems, Rafal Pietrzak is likely to start on the left side of the Polish defence, with Bartosz Bereszynski lining up on the opposite flank. The central defensive partnership should comprise of Kamil Glik and Thiago Cionek. In the middle of the park, Jacek Goralski and Mateusz Klich will form the pivot, looking to keep a lid on the Portuguese attack. Out wide, Jakub Blaszczykowski and Damian Kadzior should be the preferred players, while Krzysztof Piatek is likely to replace Lewandowski. Portugal hold the edge in their head-to-head record against Poland, having won five of the 12 meetings between the two sides (D4 L3). Jerzy Brzeczek is still winless in-charge of the Poland National Side after overseeing his first five games (D2 L3). Robert Lewandowski is without an international goal in his last seven appearances for Poland. Portugal have lost one of their last 12 matches, that being the 2-1 defeat at the hands of Uruguay at the 2018 FIFA World Cup. 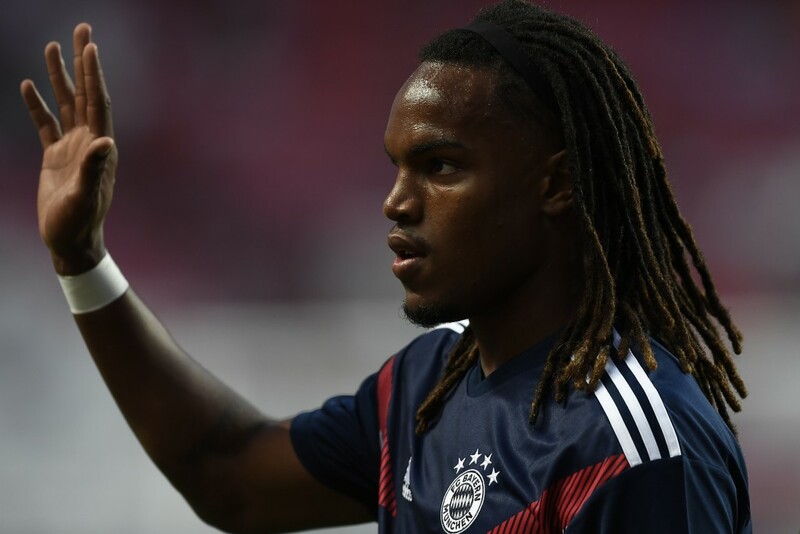 After bursting onto the spotlight as a teenage prodigy, Renato Sanches had made a big move to Bayern Munich. But, that is when it had started going all pear shaped, with a loan spell at Swansea City not helping his fortunes either. Upon his return to Munich though, the youngster has found a new lease of life. But, it is the national side where Sanches is yet to cement his place, and a UEFA Nations League tie against Poland presents a golden opportunity, irrespective of the fact that it’s a dead rubber. A solid showing in the middle of the park could aid his cause immensely, and it will be interesting to see how he goes about his performance on Tuesday. The reverse fixture in Poland might have been a goal fest. But, with nothing to play for on Tuesday for either side, the Matchday 6 tie between Portugal and Poland could be a rather mellow affair, especially with players from both sides looking to avoid any late injuries ahead of the return to their club sides. However, some of the players will feel that they have a point to prove, which will add to the competitive feeling of the game. The Hard Tackle predicts an even affair at Estadio Dom Afonso Henriques, with Portugal and Poland sharing the spoils following a 1-1 draw.